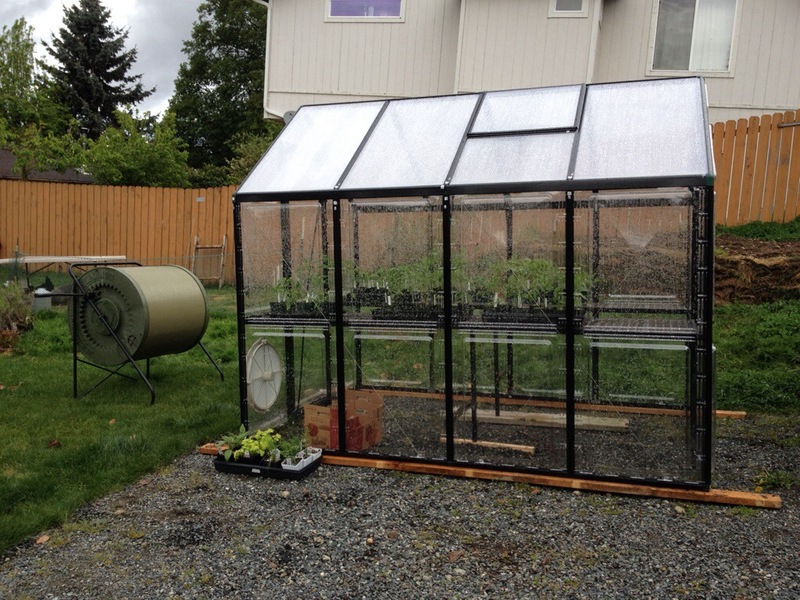 Thanks Aaron and Beth for the lovely greenhouse and Nicole and Isaac for the awesome compost tumbler! There ain’t much we love more than free-cycled stuff! 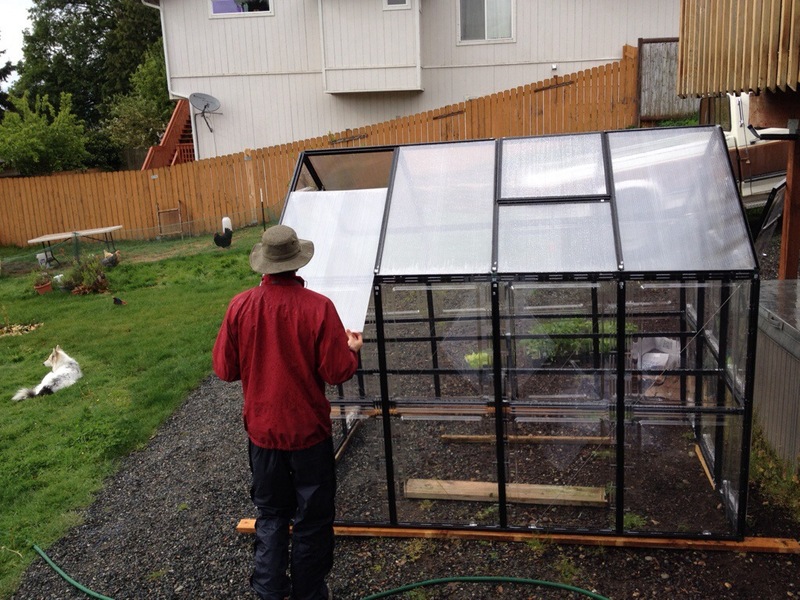 I’m super excited about the greenhouse. Like, so so so excited. It’s only 6×8 feet, but it has a work bench running the length of each side that triples the grow light space I had in our old basement. There’s plenty of storage room under the benches, or room for drums of water to soak up and moderate heat from the sun. 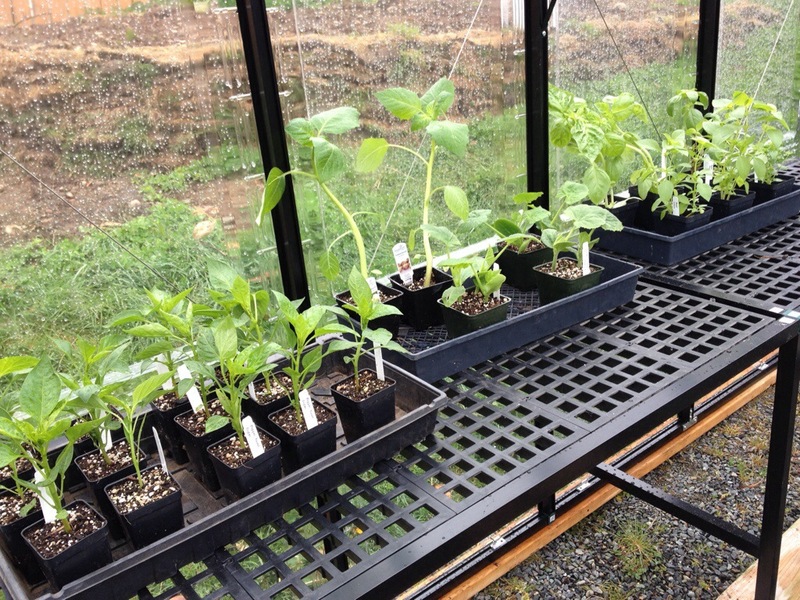 Plus, the greenhouse will allow seedlings to get quite tall before we have to move them outside. I imagine we could keep one or two finicky heirloom tomatoes in there in pots if we can vent it well enough during the heat of the summer, but I’ll mostly use it to start seeds in the winter, spring, and fall. David and I are both pretty excited about the new composter too- this one is a horizontal rolling barrel that’s both bigger and easier to turn and load/unload than our end-over-end barrel composter. We’ll use this one for chicken manure and bedding, as most of our food scraps already go to the chickens or worm bins.